For sale now in print and as an e-book. Please request it at your local library, or order it at your favorite bookstore. Einstein was a high school dropout. Josephine Baker was a secret agent for the French Resistance during World War Two. Sacajawea was the only woman who traveled with Lewis and Clark’s expedition, and carried her baby the whole way. The Supreme Court decided in 1962 that Nicola Tesla was the real inventor of the radio. Philipp Reis invented the first telephone. These fascinating facts and more are contained in Dreamscape: Real Dreams Really Make a Difference. 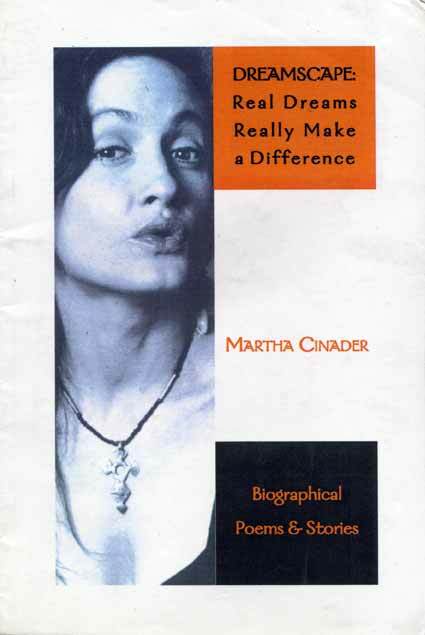 A collection of biographical stories and poems about fascinating people in history whose real dreams made a real difference. Developed in performance, these stories bring old tales to life for contemporary readers in a way that is both entertaining and informative. Recordings of “King Leopold” and “Living It!” are also on the CD Living It! 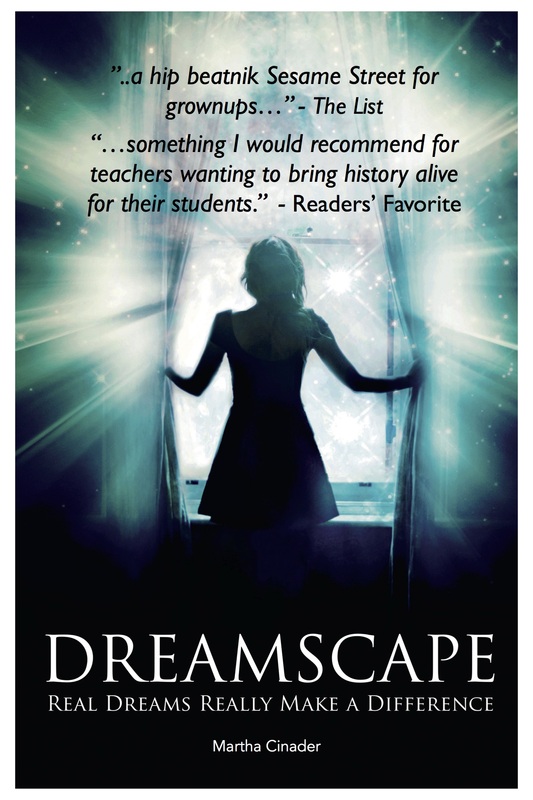 Cover to the first edition of Dreamscape.